Z-Hunter Dragon Slayer Throwing Card Set with Sheath | BUDK.com - Knives & Swords At The Lowest Prices! Don't get caught unprepared! 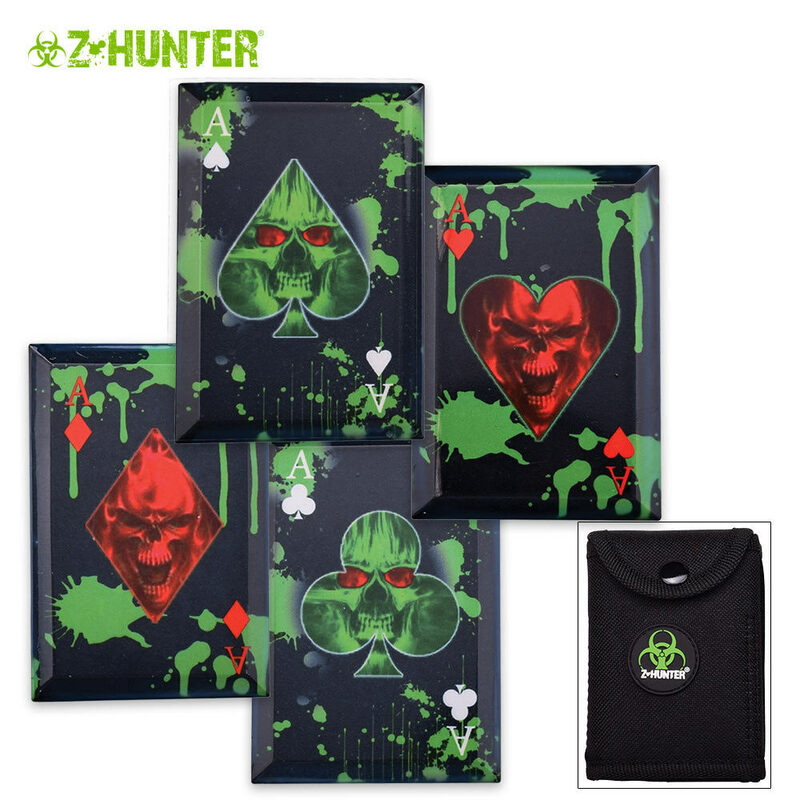 This Zombie Throwing Card set includes four cards constructed of stainless steel with fierce dragon slayer images right on the front. The sharp tips on the edges of the cards make this set perfect for throwing and slashing. Includes a nylon sheath that holds all four cards. These cards aren't too sharp, but sharp enough to stick most of the time you throw them. It must be known that the paint on these cards does wear off quickly. Also the tips tend to bend but you can bend them back without to much effort.